Have you heard or come across the Mobipocket eBook Reader? If not, Mobipocket is an electrical device (tablet) that can be used for reading eBooks. A Mobi file is, therefore, an eBook file meant to be displayed and read on a Mobipocket eBook Reader device. Though developed for Mobipocket, a Mobi file can also be read on a Kindle device! 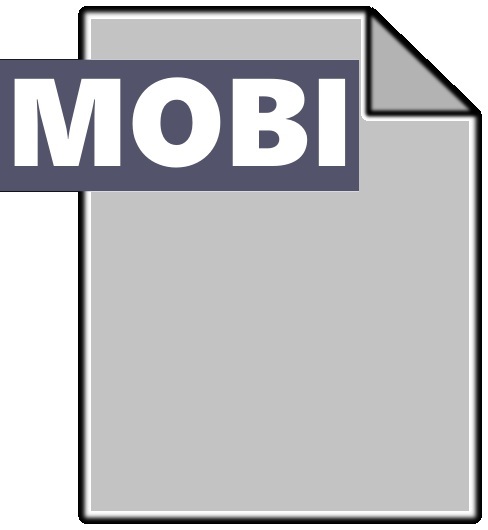 Is there any direct relationship between a Mobi file and an AZW file? Since it has already been mentioned that a Mobi file can be read on a Kindle device, there must certainly exist a direct relationship between the two file formats. In fact, the only difference between the file formats is the Digital Rights Management scheme used in two files. Otherwise, all the components remain almost constant. Having said this, Mobi derives its base codes from AZW, which means that it becomes interchangeable. This implies that Mobi can be converted into either more complex or less complex formats. Simply to say Mobi can further be converted into Epub or CBR ( Comic book reflowable ) format. Although Mobi and ePub belong to a similar binding of eBook formats; you will find that they are different in the devices they support. What brought about the direct relationship between Mobi and AZW files? Though initially meant for the Mobipocket eBook Reader, the Mobi file format was bought by the Amazon as part of the initiative in developing the AZW format. Amazon then added a different DRM scheme and a few other components on the original file to come up with a different inventory all the same. What devices is the Mobi file format meant for? The format is mostly intended for mobile devices with small sized screens. Many because of its image size limitations which are restricted not to exceed the 64K mark. The image format –GIF also disqualifies it for display on larger screens as a result of massive image distortions which are prone to occur upon display on large screened devices. Mobi initially introduced into the market by MobiPocket systems. The intent behind bringing this format was to establish some way of standard formats. Now, initially, Mobi came to the fore by making everything uniform and bringing almost a common platform for all the devices. However, later on, you could say that somewhere Mobi failed to deliver on its promise. Most of this failure can be attributed to the fact that ePub spread around more rapidly than ever before. Epub came out at around the same period as its nearest competitor Mobi. But Epub came away winning the initial rounds by being compatible with almost all the eBook reading devices and apps existing on the market. As it came out to be a more open and more flexible format for the user, most of the eBook readers lapped it up. This scene went about a change when Mobi format was taken over by internet giant Amazon. Amazon bought the format rights from Mobipocket systems. This was done with an intention of using it as a particular format for its soon to be released eBook reading device (and later in an app) Kindle. Apparently, Kindle started out by only supporting Mobi ( and simpler text formats like TXT and PDF) in the initial days. Later on, Kindle devices came about lending support to even CBR formats but somewhere it just could not break the Epub barrier. Meanwhile, ePub file grew in strength and became the biggest ePub reading format with support from multiple androids and iOS apps over the market. So, hence Mobi became more associated with Amazon Kindle devices and with its initial founding company MobiPocket systems which came out with MobiPocket readers in time to come. Is a Mobi file reflowable or fixed regarding layout? A reflowable content is one that adjusts following the screen size on which it is presented on. Fixed layout content, on the other hand, is opposite to the reflowable content; its width is fixed and does not adjust in anywhere on the device it is displayed on. A Mobi file has both capabilities. It can either be reflowable or fixed regarding its layout. It is, therefore, the duty of the publisher or author to decide on which option to pick on. In this regard, Mobi recently came out with reflowable and fixed layouts for its internal code. When we look at the reflowable layout, we can see that the Mobi files are usually adjusting the texts, justifications, alignments, pictures, etc. according to the screen layouts and orientation. Of course, for an average user, this means that he has the liberty to read the eBook in the way he wants. Also, the eBook appears in a similar fashion across devices, more noticeably Smartphone devices, Tablet screens and the biggest of screens in PC and Mac environments. Of course, with that adjusting quality, the books become more engaging to look at each and every time you look at it. On the contrary, you have the fixed layout adaptability. Although, the name implies some restriction; that is not the case. What the term merely means is that the design is set regarding alignments, picture, video or audio layout inclusions and textual flow. What this means that the layout will automatically adjust the whole book setup according to the screen in which you are looking at the device, Now, this might sound very similar to what we see in the reflowable text. But there is a particular difference between the two ideas and concepts. In the reflowable text, you have your text is adjusted according to the way the device is held ( vertically or horizontally) or elongated depending on the screen size. However, the media attached to the pages are not adjusted. This becomes a problem when you want to read out the Mobi. This particular problem is solved by a Fixed layout that we discussed earlier. Here, the whole setup of the pages and the images, multimedia inclusions are saved. Such that the user never loses out on the experience. Mobi has one of the most reliable DRM for eBooks currently in place. It can, therefore, be a useful eBook file format to choose on for those writers and publishers who would like to protect their content from pirates. Mobi allows for the syncing of eBooks up to a maximum of four devices owned by an eBook buyer. DRM or Digital Rights Management usually protects your work from unidentified theft and improper use. Also, you can protect your files from later additions and deletions. The acronym stands for Digital Rights Management, as the name suggests, it is a mechanism put in place to protect digital content from illegal publication, reproduction, and distribution. Digital Rights Management prohibits the actions of the users of a digital content if they display any measures intended to violate the rights of the writers. It reflects the Intellectual property rights of physical works. Or even similar to ownership rights of tangible things. DRM becomes your shield of your work on the web. If we look at the initial days of DRM, we will find that Adobe systems were the first organizations to bring about Digital Rights Management into the front. They did so to offer protection to their PDF files which were being sent to and fro between unsecured channels. Therefore the credit of Digital Rights Management goes to Adobe Systems. Later on, this type of protection was held up in multiple formats, one of the major players here being ePub and Mobi. However, ePub being a more open source eBook format was driven away from Digital Rights Management in the later years. Mobi however after being adopted grew to be more in tune with the DRM-driven content. DRM means you can only read a protected book on a Kindle (or device running a Kindle app) linked to your Amazon account. Not all books have DRM, but those that do will usually have a limit on how many devices you can use the book on over time. Are there any significant limitations associated with Mobi files? If images are taller than one line, texts cannot flow around such images. Mobi files cannot be well displayed on devices with large screens; this limits the audience which can access content presented using the format. However, as a user, this should not discourage you from reading the eBooks.You must know that Mobi files have always been made with Amazon Kindle devices in mind. If you have a decent Kindle device ( or more recently even a compatible Kindle app on your smartphone or device ), you should not ideally face any difficulty in reading a Mobi file. However, if you are using a third party app to read Mobi file to achieve this, then you might find a lag in the way you are reading. Mobi, after all, is not as open a format as, ay Epub. And therefore, users are advised to use Kindle devices to read Kindle titles bought from a store in Mobi format. It does not support nested tables at all. Writers who find it essential to use such tables in their content, therefore, find a difficult time in looking for substitutes means of presentation. Video support is not much of a problem with the e-books having the ePub format. This is mainly because of the fact they have an excellent support system for the audio files. However, these MOBI files cannot support videos as it does not have a proper audio support for their e-books. Have you ever thought of working with the best industry in publishing services at affordable costs? If so, take this precious opportunity to liaise with our team of experts for services such as eBook conversion and file formatting. Request a free sample today. PreviousPrevious post:What Is An ePUB File Extension and Uses Of ItNextNext post:What Are Some of the Best Reading Apps for Kindle or eBooks On Android?